People often ask me why well-meaning liberals like Lord Harries, the former Bishop of Oxford-a man that’s been a pillar of his community for more than half a century , could advocate the Koran being read at Prince Charles’ coronation. .
After all Lord Harries was once seen as a champion of Christianity. It’s simply because the good Lord genuinely believes in the Christian doctrine of loving thy neighbour as thy self, and maddeningly turning the other cheek, even when facing a hatred as virulent as Islamism. In a perfect uni-cultural society t his is a noble mentality, but when your nation is under attack? It’s proven deadly. Because of well-meaning men like Lord Harries, our Marxist oppressors have facilitated the perfect environment for Islamism to take root on European soil, for non westenrers to move here and ravage our lands, dilute our culture and change our way of life. My town has more halal butchers and ‘Eastern’ food shops than it has English storefronts-and it is men like Lord Harries, as well as anti-British internationalist organisations like the European Unions and their Marxist minions in government, that have facilitate it. Islamism in particular is a threat to ALL it encounters, and needs to be stopped. And to those of you that still claim we need to forget Islam and conctrate on the poople (JOOS) that brought these barbarians here. Although there’s validity to the belief that it’s Marxist and Zionist immigration organisations like Paideia that first brought (see the Smash Cultural Marxism article for details) Bosnian Mulsims to Austria, Germany and Sweden, the fact is at this point in time, we are well beyond pointing fingers. One can go back to our own misguided colonial policies, offering refugee status to the Ashkenazim now behind our immigration policies, how we dealt with the Ottoman Empire & the successful Islamic invasions of the Iberian peninsula – even the crusades, to find reasons why we’re in the mess we are. At this point, it’s irrelevant. Islam is well on its way to imposing its will and Sharia Law upon our lands. This is why the EKP fight Islamism with as much fervour and gusto as we combat the scourge that is Marxism. They are two sides of the same shekel, born in the same sandbox and of the same innate hatred. Prince Charles’s coronation service should be opened with a reading from the Koran, a senior Church of England bishop said yesterday. The gesture would be a ‘creative act of accommodation’ to make Muslims feel ‘embraced’ by the nation, Lord Harries of Pentregarth said. But critics attacked the idea, accusing the Church of ‘losing confidence’ in its own institutions and traditions. Lord Harries, a former Bishop of Oxford and a leading CofE liberal thinker, said he was sure Charles’s coronation would give scope to leaders of non-Christian religions to give their blessing to the new King. The former Bishop of Oxford, who continues to serve as an assistant bishop in the diocese of Southwark, made the suggestion about the Koran during a House of Lords debate. 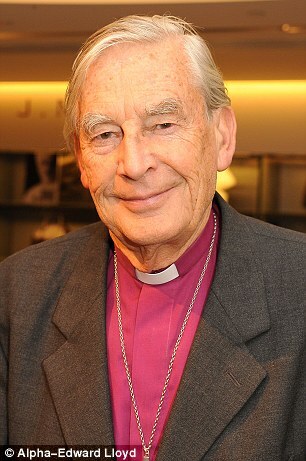 He told peers the Church of England should take the lead in ‘exercising its historic position in a hospitable way’. He said that at a civic service in Bristol Cathedral last year authorities had agreed to a reading of the opening passage of the Koran before the beginning of the Christian ritual. He said: ‘It was a brilliant creative act of accommodation that made the Muslim high sheriff feel, as she said, warmly embraced but did not alienate the core congregation. Lord Harries’ suggestion comes more than 20 years after the Prince first said he would prefer to be seen as ‘Defender of Faith’ rather than be known by the monarch’s title of ‘Defender of the Faith’. 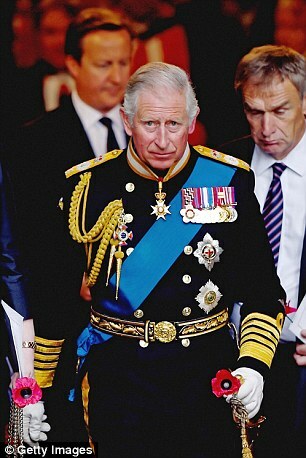 Charles said in 1994 he ‘always felt the Catholic subjects of the sovereign are equally as important as the Anglican ones, as the Protestant ones’. ‘Likewise, I think that Islamic subjects, or the Hindu subjects, or the Zoroastrian subjects of the sovereign, are of equal and vital importance.’ In 2006 the Prince made known that he wanted a multifaith coronation that would be more ‘focused and telecentric’ than his mother’s in 1953. However traditionalist Christians condemned Lord Harries’s idea. 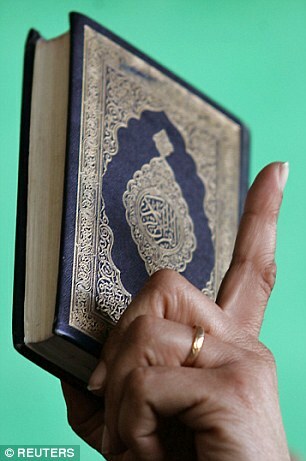 Simon Calvert of the Christian Institute think-tank said: ‘Most people will be amazed at the idea that a Christian leader would consider the use of the Koran at a Christian service in a Christian abbey. Andrea Minichiello Williams, a member of the CofE’s parliament, the General Synod, and head of the Christian Concern pressure group, said: ‘At a time when we are looking at what British values mean, we cannot have values in a vacuum. British values stem from our Christian heritage. Douglas Murray, associate editor of the Spectator, said if Muslims were included in the coronation service, there must be room to for Hindus, Sikhs, and atheists.